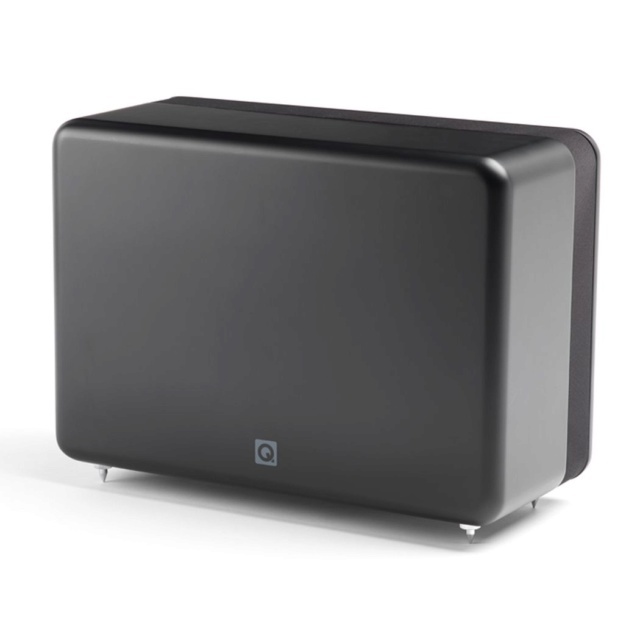 The 7000Si Subwoofer cabinet is compact cuboid shape, where the design focus is on getting the biggest sound from the smallest, best-looking enclosure and with Q Acoustics the focus is always first and foremost on getting the very best sound quality. The 7000Si will ensure you get the very best explosive bass from your 5.1 or 7.1 system. This compact Subwoofer has a completely concealed 200mm driver driven by 150watt class D amplifier, capable of reproducing the speed and 'twang' of a double bass as it is the prolonged, earth moving rumble of a 'block buster' explosion so you hear whatever you are listening to, in all its glory. The controls are hidden behind a magnetic hatch except for those that are most needed, volume and phase adjustment, which discretely protrude through the cover for easy access. The Subwoofer driver is located internally in it's cabinet and is completely concealed. It faces a fixed baffle and the sound vents through a narrow grille on the top and both sides. This configuration makes the Subwoofer less sensitive to room placement, so it can be more easily hidden away in the room making the system even more discrete. The Subwoofer comes with spikes or rubber feet for stability and is available in White and Black. An optional Wall Bracket is available. Conditions : New in Box. Price :RM1899 with postage within Peninsular Malaysia.